ABOVE THE WAIST provides a new perspective on middle school sexuality education curriculum by beginning with the most important sexual organ in growing bodies -- THE BRAIN! 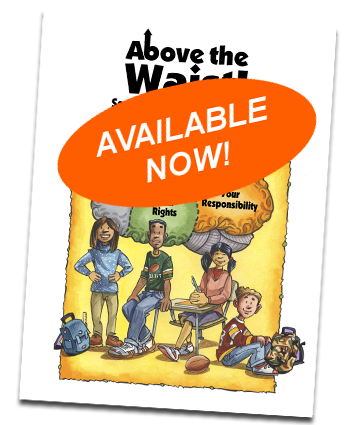 ABOVE THE WAIST mixes cutting edge research in adolescent brain development with the philosophies that have driven the 30+ year success of the evidence-based Children's Aid Society Carrera Adolescent Pregnancy Prevention Program. ABOVE THE WAIST is brain-appropriate and scientifically accurate, fun, interactive, and easy to use!